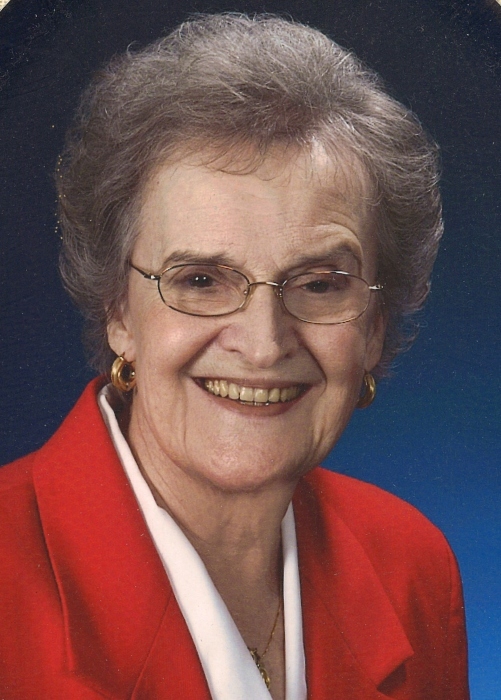 Obituary for Shirlee W. Steenkamer | Doherty Funeral Homes, Inc.
Shirlee Anne Steenkamer (nee Williams), 87, passed away on April 3, 2019. Born November 13, 1931, in Bridgeport, CT, to the late Gilbert Fenwick and Anne (Shultz) Williams, she was predeceased by her brother, Gilbert F. (Bud) Williams, Jr., and is survived by her beloved husband of 61 years, Henry (Hank) Steenkamer, and a large extended family. Shirlee graduated from Enfield High School and attended the University of Connecticut. In her early years, she worked as an administrative assistant for Hallmark Cards and later DuPont, where she met Hank at a company dance. They quickly fell in love and were married June 22, 1957. Their marriage was blessed with six sons: Thomas (Stephanie), John (Lisa), Michael (Kimberly), Paul (Sharon), David (Juliane) and Stephen (Juliett). Shirlee was rightly proud of her 13 grandchildren, who were her special joy: Katrina, Meredith, Christopher, Adam, Benjamin, Emily, William, Alida, Elizabeth, Andrew, Kathryn, Hannah and Daniel. Shirlee volunteered with the Right to Read Association and was a founding member and committee co-chair of the Sages of St. Mary of the Assumption Catholic Church. She greatly enjoyed planning and hosting family gatherings. A Mass of Christian Burial will be celebrated at St. Mary of the Assumption Church, 7200 Lancaster Pike, Hockessin on Monday, April 8 at 11:00 a.m., followed by a private interment at All Saints Cemetery. Friends and family may visit at the Doherty Funeral Home, 3200 Limestone Road, Wilmington on Sunday, April 7 between 3:00 and 5:00 p.m. or at church before Mass from 10:00 to 11:00 a.m. The family extends sincere thanks to the doctors, nurses, and staff of Delaware Hospice and the Heart and Vascular Health unit of Christiana Hospital, all of whom cared for Shirlee with kindness and compassion. In lieu of flowers, the family requests donations to St. Elizabeth High School, 1500 Cedar Street, Wilmington, DE 19805.